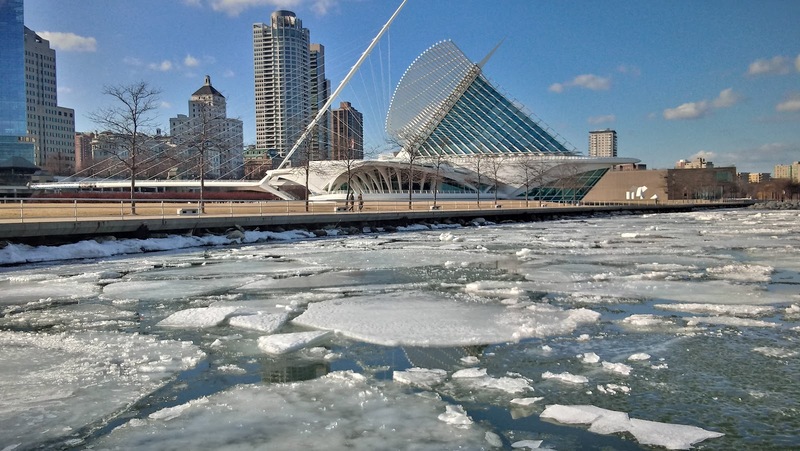 A place where Milwaukee and Lake Michigan meet. Quick note: Yes, there is Aftermath Restoration to be done, concerning the damage, deprivation of canonical rights, and jeopardy caused by the disgraced Donald Wuerl & his band of accomplices. The aforesaid "accomplices" comprise those whom Wuerl used as his useful idiots, while they were simultaneously using Wuerl as their useful idiot. Q: If there is news, then why is it not being shared with the public like the many other revelations of Wuerl and his self-seeking cohort? ANS: It's being concealed at this point in time, so as to not tip-off the enemy ... so as to not empower the enemy. Now, there is beginning to be felt a measure of relief & peace in the observation that Wuerl seems to have disappeared. Even though you can be reasonably correct in assuming that Wuerl is lurking in the background, manipulating things from behind the scenes, you no longer have to endure the pushy, "in your face" propaganda machine, telling you that Wuerl is so great & mighty that you must submit to him and loudly sing his praises. In fact, there are spaces in time when it feels as if Wuerl never existed, as in, "Donald Wuerl who?" After due diligence was employed, it was found that there actually is nothing about Wuerl to admire ... nothing to praise. And and and, anyone who did praise Wuerl in print literally got payed to do so, as in Bill "lost-credibility" Donohue & Mike "that's-all-you-got?" Aquilina. Incidentally, the value of their books is the books' ability to prop-up a crooked coffee table here and there. Those two made the sure bet and lost. They were welcomed into the elite club which has now become the Club of Shame. In propagandizing for Wuerl, they were spitting in my face, keeping my life a living hell. Okay then. I'm in Milwaukee, for St Patrick's Day. Will be back East soon. Then back to the Midwest, to finish a project in the town next door to Chicago ... and then back East, where the next wave of action can commence. Anyway, we had a heavy equipment vehicle stolen from us, a couple days ago, and only one person knew where we were hiding it ... in an ocean transport box across the huge yard, where the prime suspect's business establishment is located. He is attached to multiple police reports of suddenly missing heavy equipment. A few weeks prior ... in Chicagoland ... we had a wallet stolen. It was sitting on a church pew, and it contained all but one of the company cards. It was stolen during Holy Communion, meaning that you can't even trust church people in Chicago. We also had a person who owed us $37,000 and who did not pay any of the bill after the $2K down payment. Etc go the examples of life in Chicagoland. All in all, if you don't need to move here, then don't entertain the possibility of doing so. Now, why is this being mentioned? ANS: It was mentioned to show you that the author of www.donaldwuerl.com is very familiar with liars, cheaters, con artists, and thieves more than the Enchanted Forest is familiar with Lions and Tigers and Bears ... Oh my! So, if you were wondering how the Wuerl-of-Hurt author was able to identify a fraud here and a fraud there, long before anyone else, the answer is, "experience." In review: The Year 2018 was the year of Revelation, while its summer was the Summer of Shame. The Year 2019 will be the year of Response. Thereafter will be the total vanquishing of the enemy. there would have never been chapels on United States military bases. never met, torched a Catholic Church. In fact, they literally fired a canon at it. who, at the time, were hated with seething ferocity by certain Protestant sects. been either a massacre in Philadelphia or the start of a literal civil war there. State to make sure that its citizens are able to freely practice religion. beyond the topic of religion. of said government, it's known as "acting under the color of law." mitted by a private institution acting under the color of law. the color of law. Churches have become the surrogate of the government. time their facilities treat a patient sponsored by the medicaid program. 4] Catholic, Jewish, Moslem, Protestant, Hindu, etc, chaplains are hired by the U.S.
the front line, and the military chaplain in the States. in order to broadcast to humanity. jet liner eventually, or else such a jet would have created aerial havoc. floods, 3] and remain without shelter after tornadoes. because there is no established religion in America. The Federal Judiciary Conclusion: The phrase "Separation of Church and State"
matter of conscience is written into the religion's official doctrine. his religion. The most obvious example is war and the Quakers. you can't force someone to stop practicing his/hers. Above: One of the well-built bridges of the posh Mundelein seminary grounds. ca's seminary system, and Donald Wuerl looked the other way. settlement. Try again. Go back into time even further. ring in American seminaries earlier than 99% of anyone else. 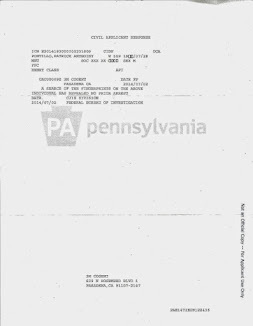 the 2018 Pennsylvania Grand Jury Report stated. spiffy guys to important for you me and the rest of humanity. replaced the manly 40-day fast. and did a photo-shoot. Below is a pictorial. of a Catholic hierarchy that has been corrupted for too long a period of time. Virgin Mary there, just like at Fatima Portugal. lane highway from a Catholic high school ... and a jogging trail. the all-so-enlightened Vatican II Church was embarrassingly backed against a wall. granted a pastorship in Wuerl's own Diocese of Pittsburgh. rgy in progress. A monsignor ended up being sent to a Roman drug detox unit. Yes, this is the Mundelein seminary. the statistics on the subject. ald Wuerl was a mighty success, indeed ... and the rest of us lost. love that he believes himself to be immune to the Vengeance of the Eternal God. Indifference ... Negligence ... Omission ... Selfishness. the banks of the Jordan River operated by a recruiter named John the Baptist. Thus, posh seminary grounds don't instantly make better seminary instruction. Catholicism apart while living in posh settings. break that priesthood vow on an habitual basis, then it's time for you to go. This is one of two Rte 176 entrances. Across the road is a Catholic high school. It's known as Our Lady of the Lake University. Here's the lake. The lake, again. This is officially Mundelein seminary grounds, also. This is the ocula (roof opening) of a well-built tunnel on seminarian grounds. Well, I did Wintertime photography of Mundelein, too. 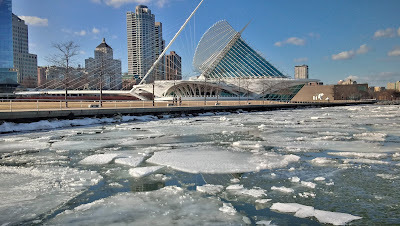 Here's the lake under thawing ice. The previously mentioned tunnel of the seminary. Mundelein in the Wintertime, yet again. has gotten millions of pageviews (hits.) So, I got harassed for it. The Versailles of Chicagoland, aka Mundelein seminary grounds. cross between Thomas Jefferson's Monticello and Versailles. A+ seminary, simply based on its appearance . . . in my opinion. French aristocrats. They have been oxidized, to politely state it. style as his Marie Antoinette lifestyle. can seminaries were reliable & healthy. Pittsburgh Catholic diocesan high school. the Vatican to remove a molester. This was the epitome of hypocrisy. The venue of the other weekly Dignity Mass permitted by Wuerl. Huff whom Wuerl hid in St. Louis and then later reinstated in Pittsburgh. Huff would later be indicted and convicted. statistically be the more corrupt diocese, on a per capita basis. cover-up conduct and for causing protesters to march in complaint of him. the Pittsburgh diocesan administrative offices ... the abuse of power. shortly after she sent me a series of harassing emails. abuse record. It was during that year when U.S.
filed at the Washington DC's clerk of court's office. hired for the job, because she knows and complies with all the cover-ups. those places. It also shows how Wuerl repeatedly contradicted himself. rent sexual abuse scandal and seminary formation? EWTN LIED, in having stated that Wuerl removed 18 of 19 priests. will end up revealing the evils he is still able to keep concealed. Let's begin with a thesis statement. It happens to be an understatement. 8) Wellinger, 9) Krawczyk, 10) Torquato, and 11) Huff, at the very least. .
not limit Lelonis out of a sense of conscience, morals and duty. ment of his mode of cover-up. He is covering up his own sins. response needed for Wuerl's pit-bull and ringer, Dollar Bill Donohue. Anthony Bevilaqua was the one to put Wolk on administrative leave. Wuerl did what he could to keep the police from knowing about Wolk. six-figure lump sum retirement package. though Zirwas was reported to Wuerl's administrators in 1991.
the rest of his life, while being on the Pittsburgh diocesan payroll. prostitute injected him with an animal tranquilizer, in the neck. priests. Wuerl then sent Zirwas a bonus. and was therefore a liability risk for any insurance provider. to Ontario for that reason. visited the family molested by the criminal priest trio. and only removed him immediately after Wolk was indicted. Hoehl. In addition, Wuerl never reported Hoehl to the police. the staff of EWTN's news shows should be fired ... literally. kept O'Malley on the payroll with an administrative post. after O'Malley's retirement, Wuerl finally reported him. shuffled off to Washington DC, outside of Pennsylvania jurisdiction. St. Louis, followed by him being brought back to Pittsburgh. Like Hoehl, Huff was given a hospital chaplaincy post by Wuerl. did get indicted and convicted. Wuerl should have done, then Billy Gaines would still be alive. concealed, Wuerl needs to abuse his power. Apparently, there is more hide-and-go-seek to play, with cover-up artist Wuerl. Stanwix & Blvd of the Allies, Pittsburgh Diocesan property, Part 1. Behind it is the Glass Castle & the PPG Plaza. sooner, this site would have been unnecessary. free you from the hypnotic trance that media proponents held on you. that Grand Jury was finally convened. Wolk, as he already reinstated Hoehl. the Diocese of Pittsburgh knew where Zula was ... so they claimed. 4} Fr. Francis Pucci who was not laicized or removed from ministry. to sustain such a priest. by Wuerl, Wuerl gave Zirwas a bonus. Zirwas lead the Sodom & Gomorrah lifestyle in Cuba to the extreme. of the two brothers was an altar boy, incidentally. Let us proceed. good enough for the job. Paone who Wuerl willingly transferred to California and then Las Vegas. ing that Wuerl stands 5'9" to 5'10". Yes --- with elevator shoes, he does. that Wuerl and her stood "head to head," meaning at the same height. from Pennsylvania and not from any State that borders on Pennsylvania. via the Pittsburgh Post Gazette. cover-ups which included John Hoehl as Wuerl's fourth simultaneous cover-up. resulted in the indictments of Wolk, Zula, and Pucci. to observe and which one to violate. Such a person is known as a heretic. silent person who reported nothing to anyone. Havana Cuba in 2001, after having been on administrative leave since 1996.
en when he stated that the truth is always strange; stranger than fiction. The indicted priests were Robert Wolk, Francis Pucci, and Richard "Sade" Zula. Sade. All three priests were charged and arraigned in Washington County, PA.
ington County. In fact, he was the first one to surrender himself to the police. counties of Pennsylvania. Pennsylvania, at last count, has sixty-seven counties. This shows that the matter was not taken lightly by law enforcement officials. Zula had 138 criminal counts filed against him in Washington County, alone. guilty in Allegheny and Washington counties. five year limitation. Despite this, Pucci's case was eventually dismissed. such acts are elements of malice; not mental illness. the spirit of cooperation we would like to see." Of course, "foot dragging"
ing "a step away from obstruction of justice charges." - New Hampshire's Nashua Telegraph, - South Carolina's Rock Hill Herald. of the most pathetic dioceses in the United States." Labels: Cardinal Donald Wuerl's cover-ups.